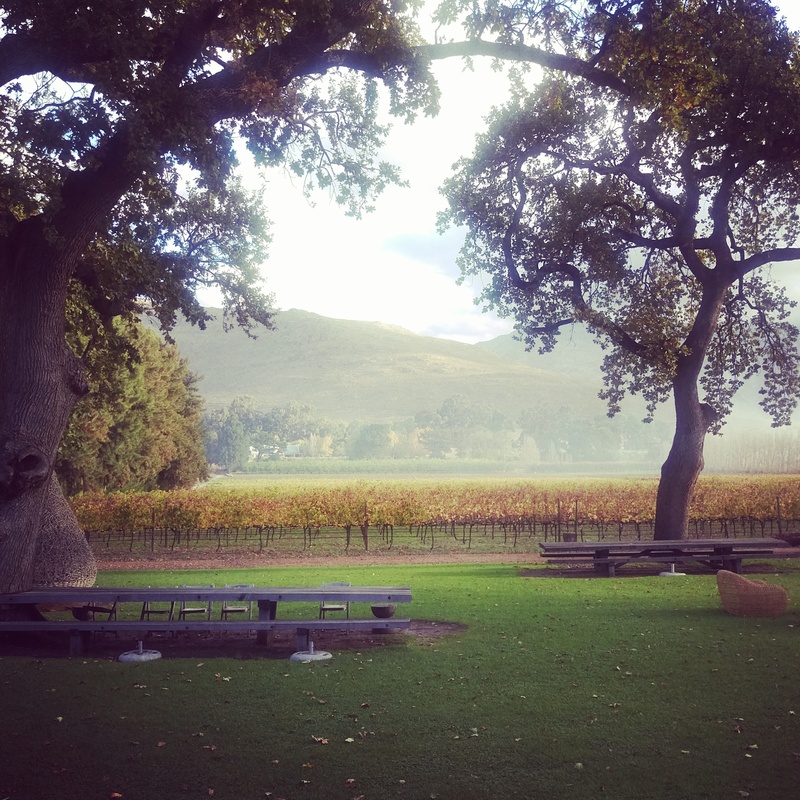 A while back I was taken on a whirlwind media tour through Franschhoek to prove that the gorgeous little town doesn’t fall asleep in winter. That’s there’s still lots to do and yes, it’s just as pretty when it’s covered by a few clouds. Now between you and me, I already know this. 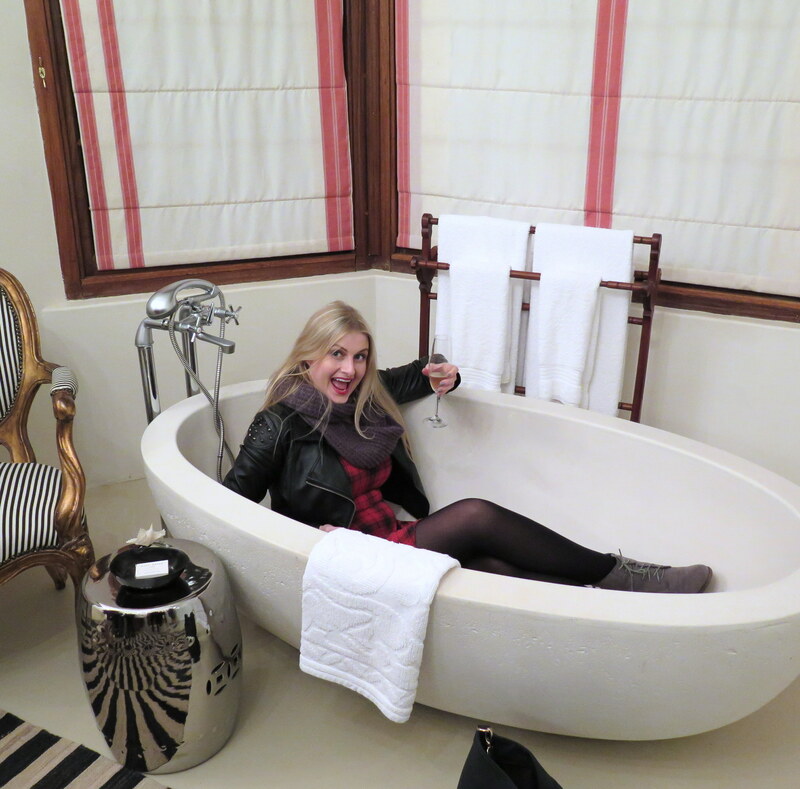 Franschhoek is one of the loveliest areas to explore in the cape, regardless of the season, and the Bastille festival (slap bang in the middle of July, nogal) is always a favourite with myself and my friends. But hey, I’m not one to say no to a spoilicous day trip and that’s exactly what it proved to be. Also, please note that every photograph featured saved for two that I’ve specified where shot using my kifftastical new HTC One M9 and it’s 20,7 megapixel camera! (Review coming shortly.) Everything you’re seeing is unfiltered save for the view from the restaurant at Maison. I just couldn’t resist. 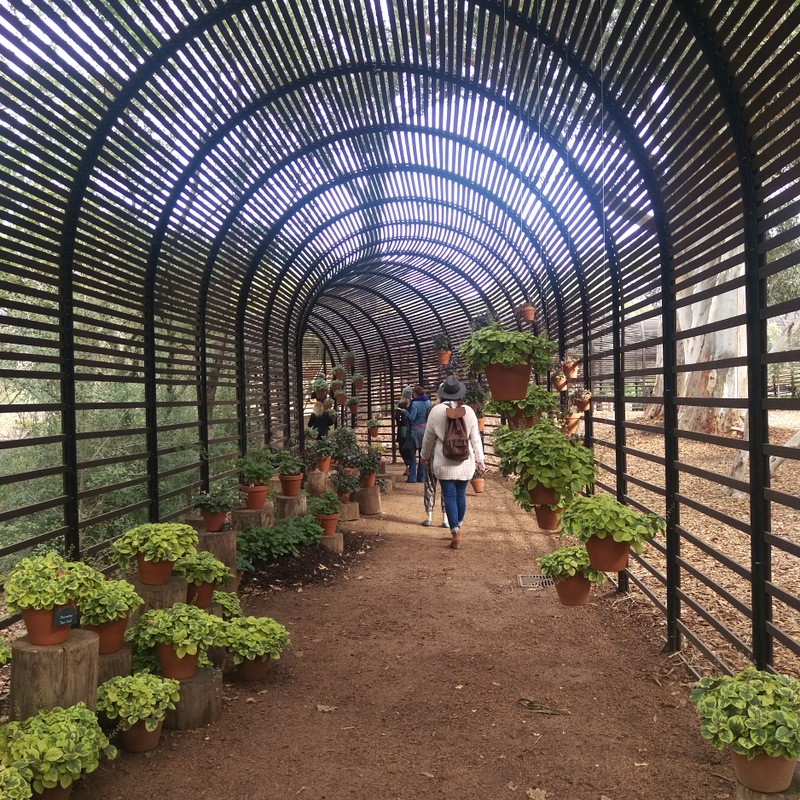 To begin, we hit up Babylonstoren and every tisk tisked about the fact that I’d never been there before. (I’m from PE, okay? Give me a break!) 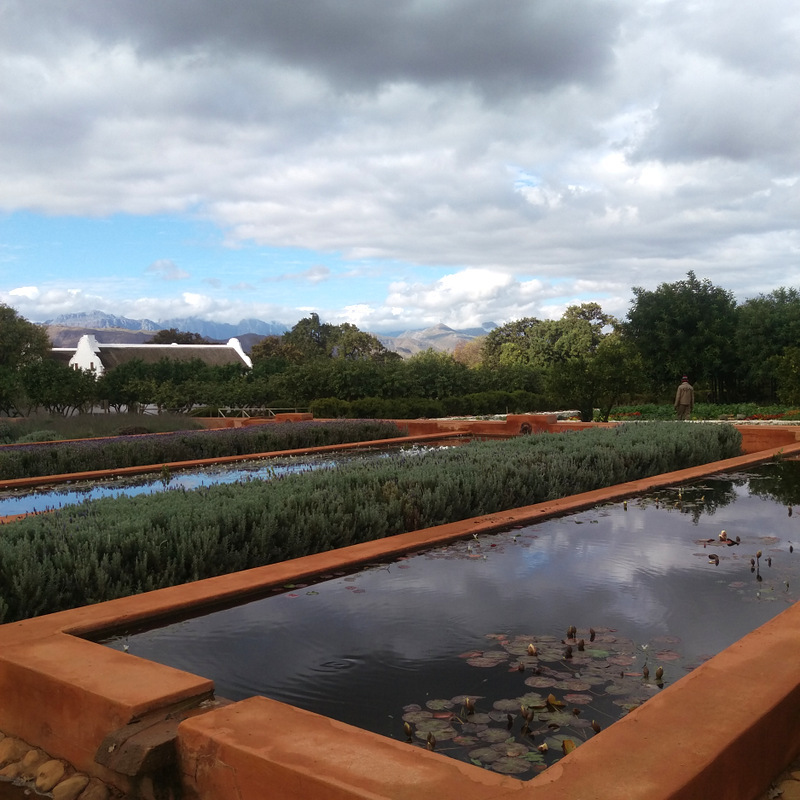 For those in the dark like myself, Babylonstoren is one of the oldest Cape Dutch farms in the cape. 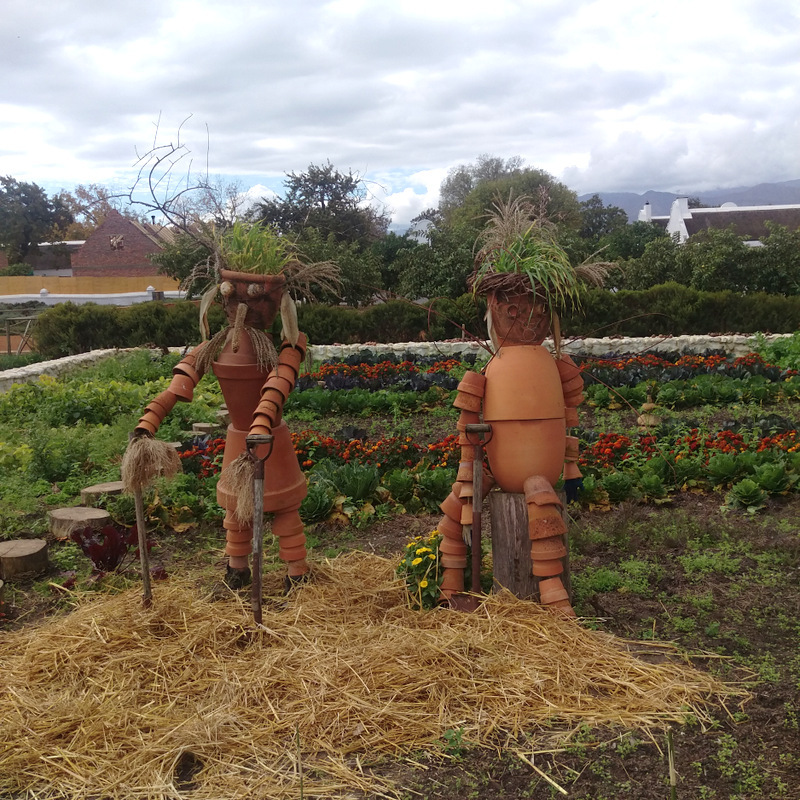 It’s exceptionally scenic as well as productive in that they make wine, grow fruit and run a busy hotel, spa and restaurant. Feathering my nest. 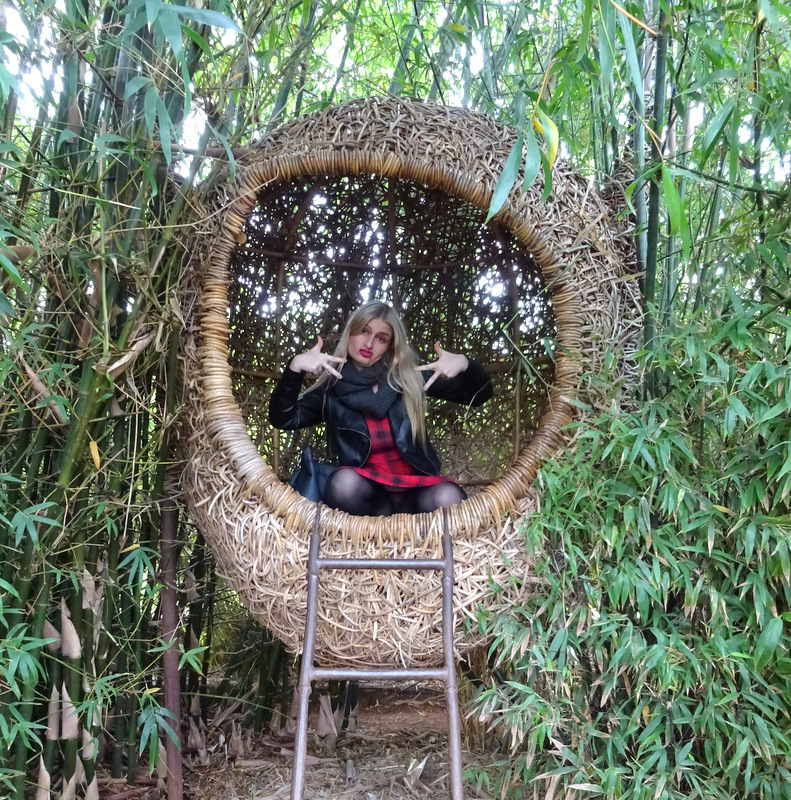 Pic courtesy of Karisa. 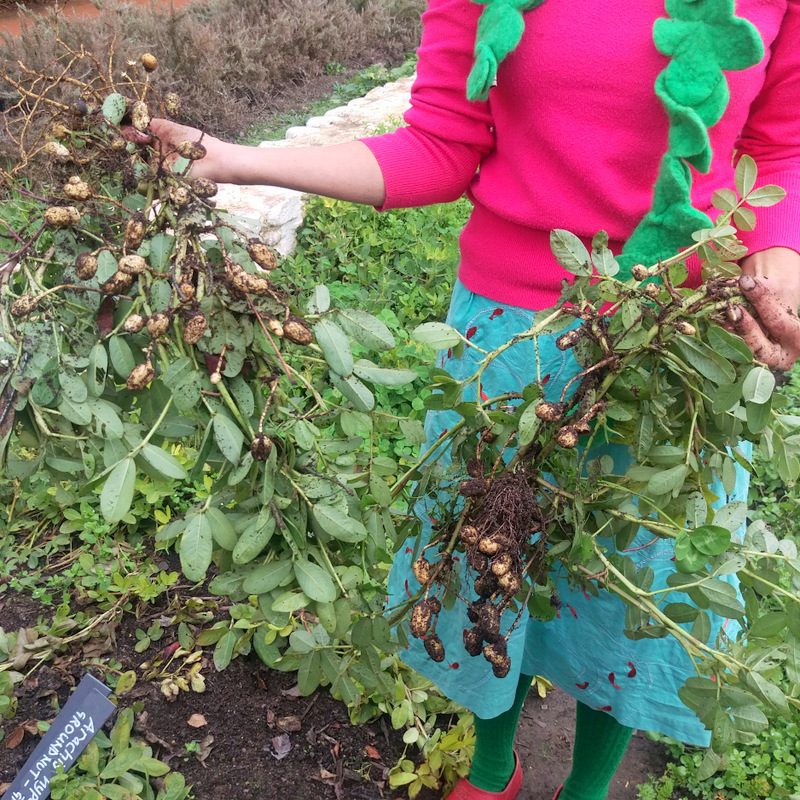 Peanuts plucked fresh from the earth. 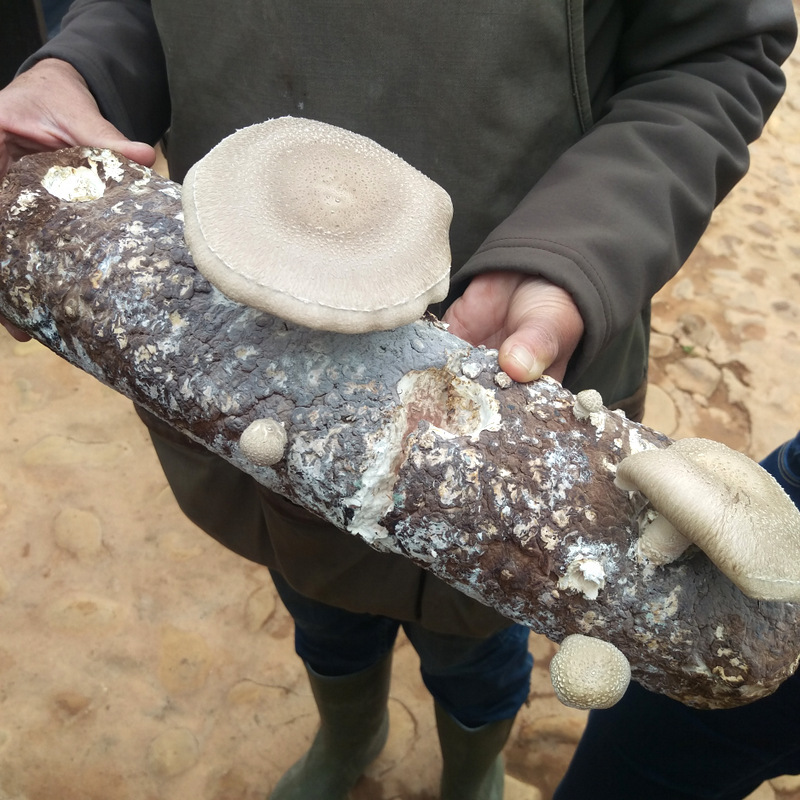 While we didn’t eat in their infamous Greenhouse restaurant, we dined near it on a mix of mushroom-inspired dished which was interesting after learning how they were painstakingly grown en masse on incubated manmade logs as well as in the wild during the garden tour. Hello there, you l’il shiitake! 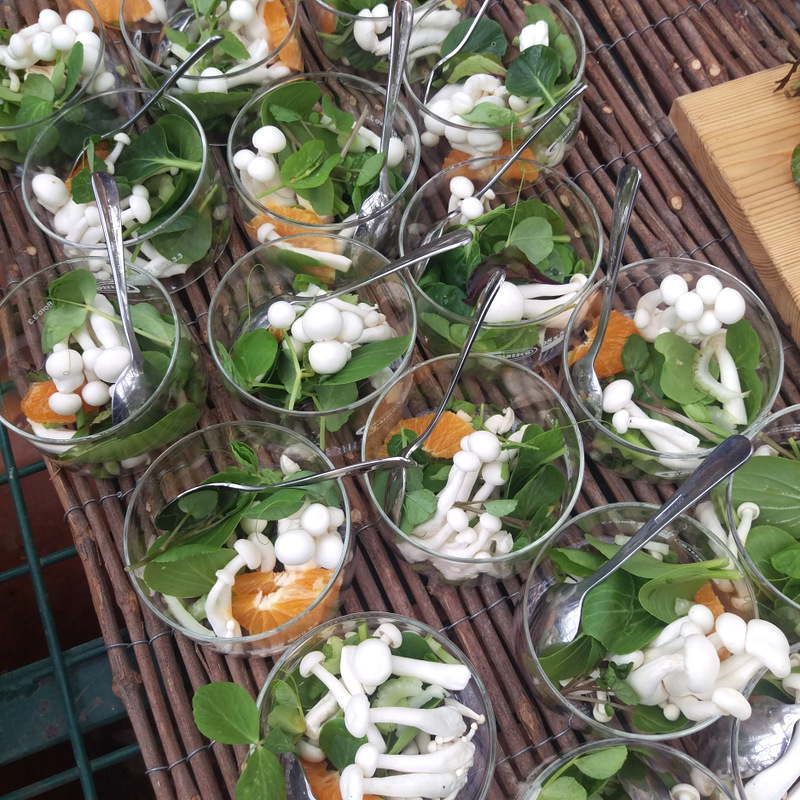 Mushroom salad over which a mushroom broth was poured. 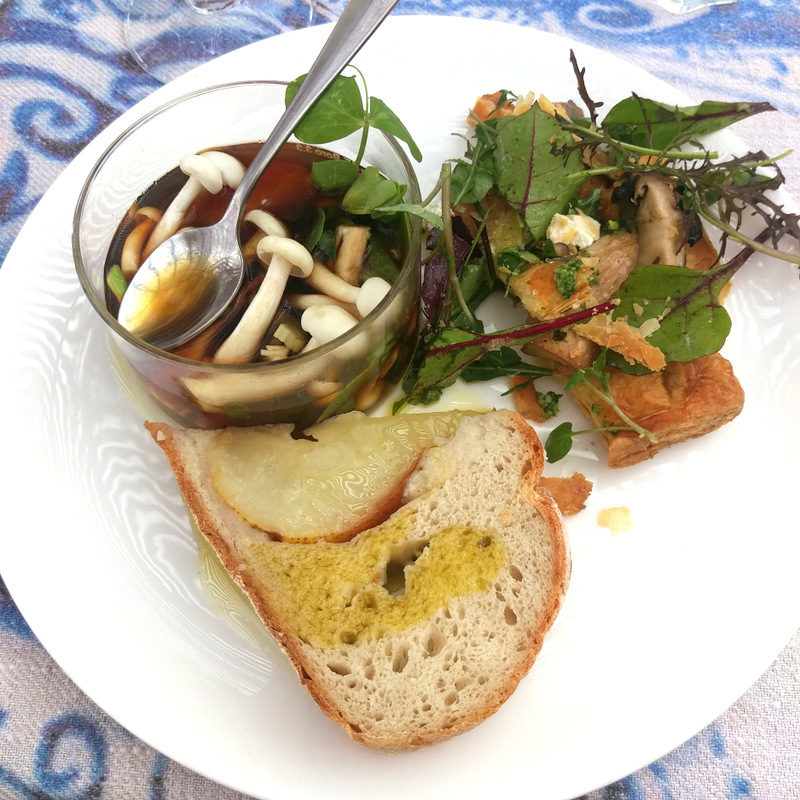 Food-wise, the real stand out, for me, was the pear, gorgonzola and walnut bread (drizzled with truffle oil!) made in the farm’s wood fired oven. You have no idea as to how many times I’ve lain in bed thinking about this bread. 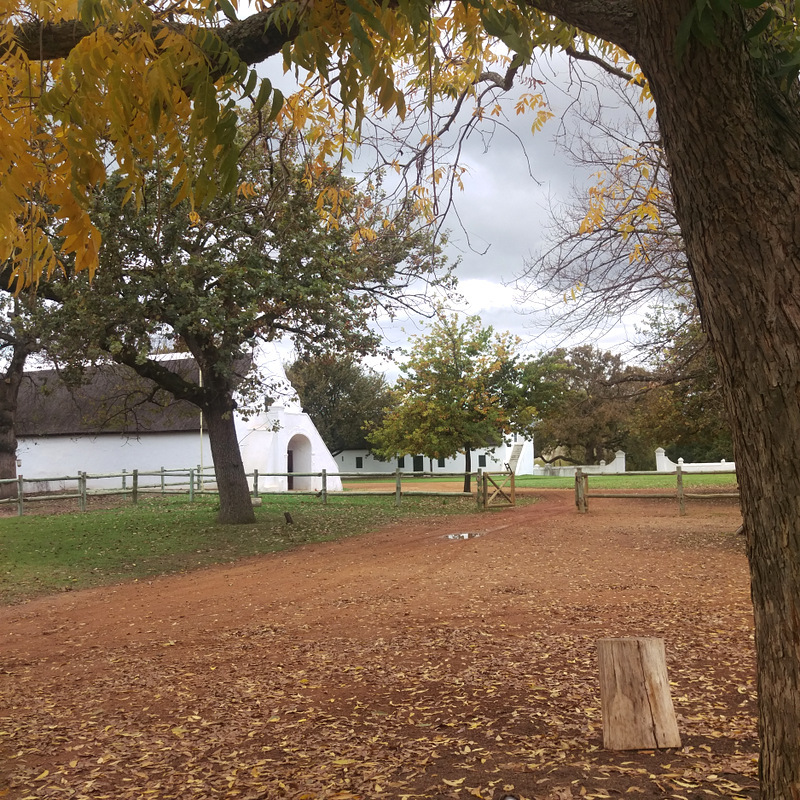 The farm’s Viognier 2014 wine, with notes of white flower, peach, apricot and lightly oaked, was also an easy drinking total treat. The Greenhouse restaurant is open every day from 10am to 4pm and you only need to book if there are more than 13 in your party. Pop in for a tasting or snap that Voigner up online over here for R108. 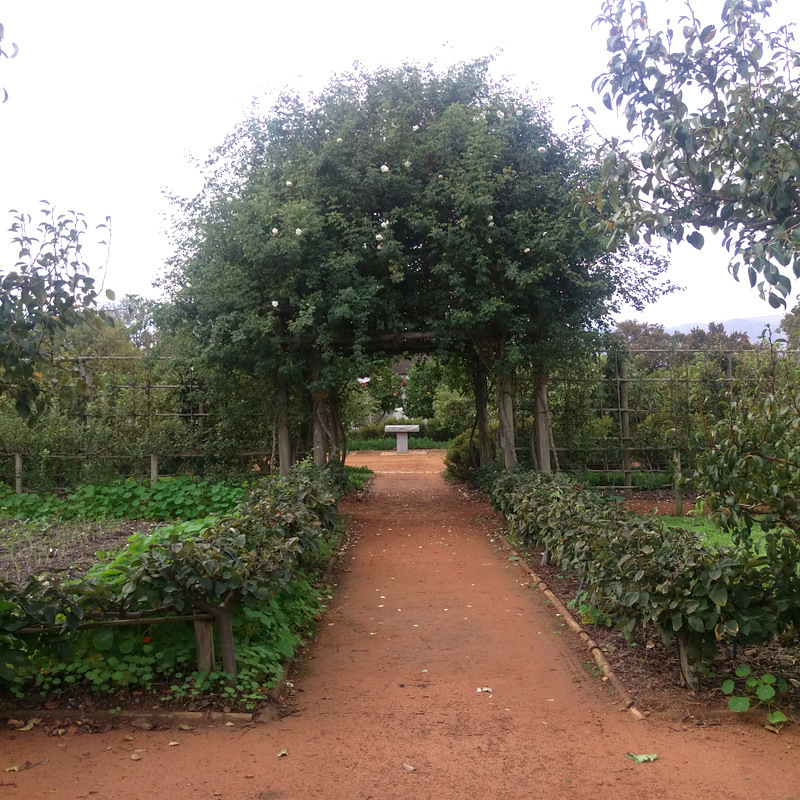 The garden tour starts at 10am and costs just R10 that gets donated to the Babylonstoren Trust. 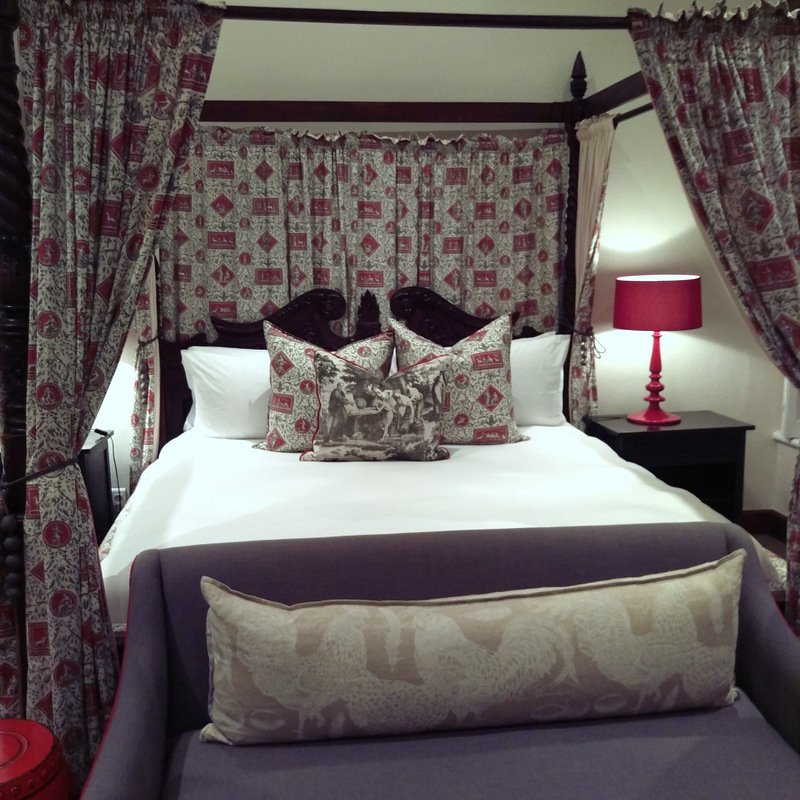 Special alert: If you stay over for two night, you’ll score a free dinner for two that includes a bottle of bubbly. 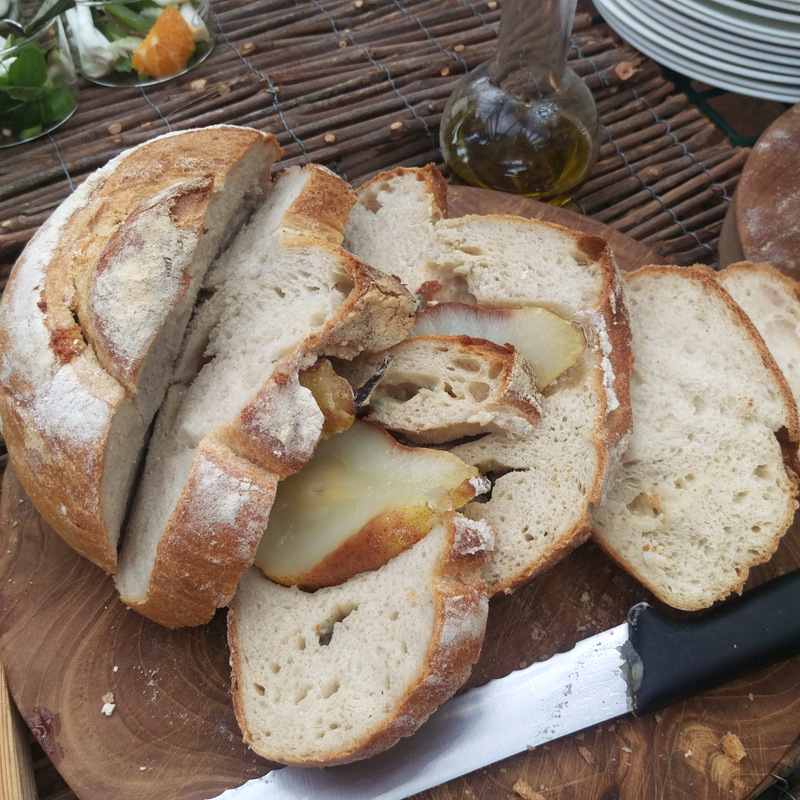 Want to try bread? I’ll get back to you on where that’s available. I just tried to find out myself but realised the restaurant was closed. 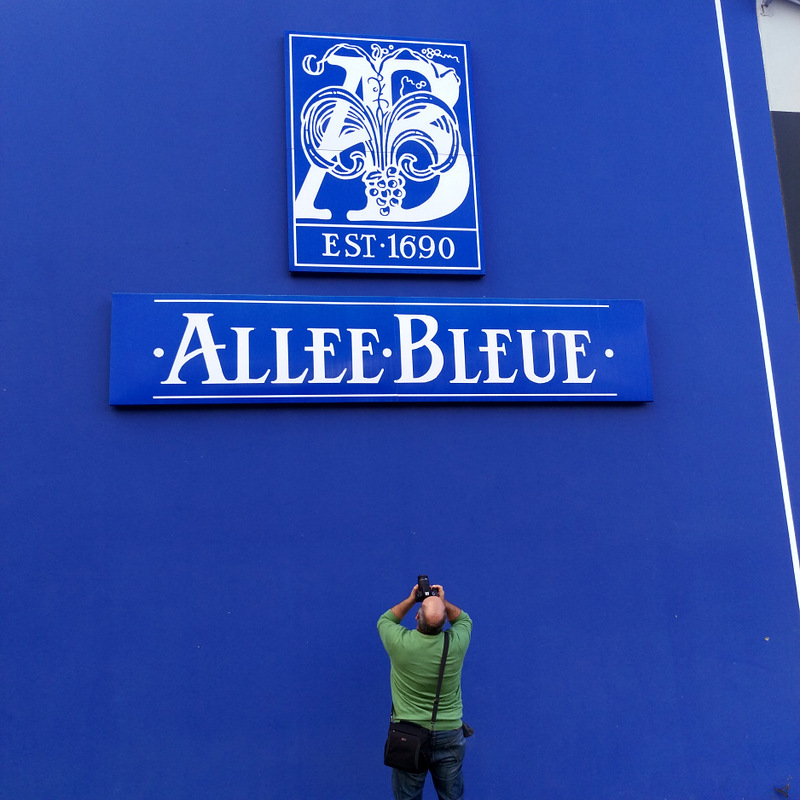 Next up, we popped in at Allee Bleue (that’s ‘avenue of blue’ in French), a farm best known for their wine, herbs and fruit. Dax getting his close up. 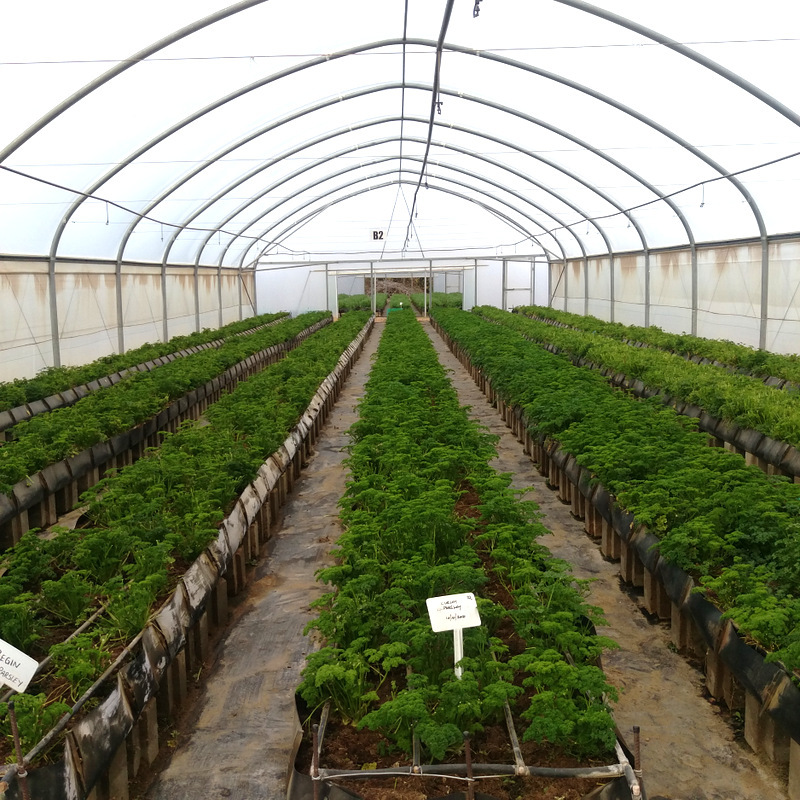 It’s not as picturesque as Babylonstoren but it was actually quite fascinating to learn about the rows and rows of herbs they grow and supply to local supermarkets. In fact, if you’re buying coriander from Checkers, chances are it comes from Allee Bleue that’s now inspired me to start growing my own. We got to try an aromatic salsa verde made from freshly plucked ingredients and whipped together by the farm’s newly appointed resident chef Beau du Toit paired with the farm’s Brut Rose MCC 2012. Of all the wines and bubbles I got to try that day, this was my absolute favourite. It’s notes included strawberries, candyfloss and rose petals but it wasn’t sickly sweet or even too sweet in the least. It’s the kind of easy drinking bubbles where you could easily start out by saying you’d only indulge in a glass and then end up downing the entire bottle, possibly all by yourself. Oops! Alas, I don’t have piccies of this as it was during a time I’d managed to smudge something on my phone’s lens. Eek! 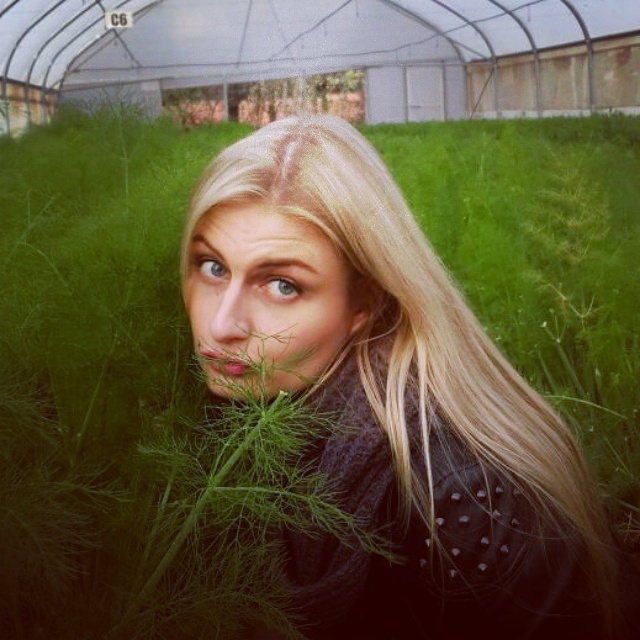 Allee Bleue runs a herb tour every Friday, starting at 10:30 for 11am, after which a delish 3-course herb-inspired lunch is served in their bistro. 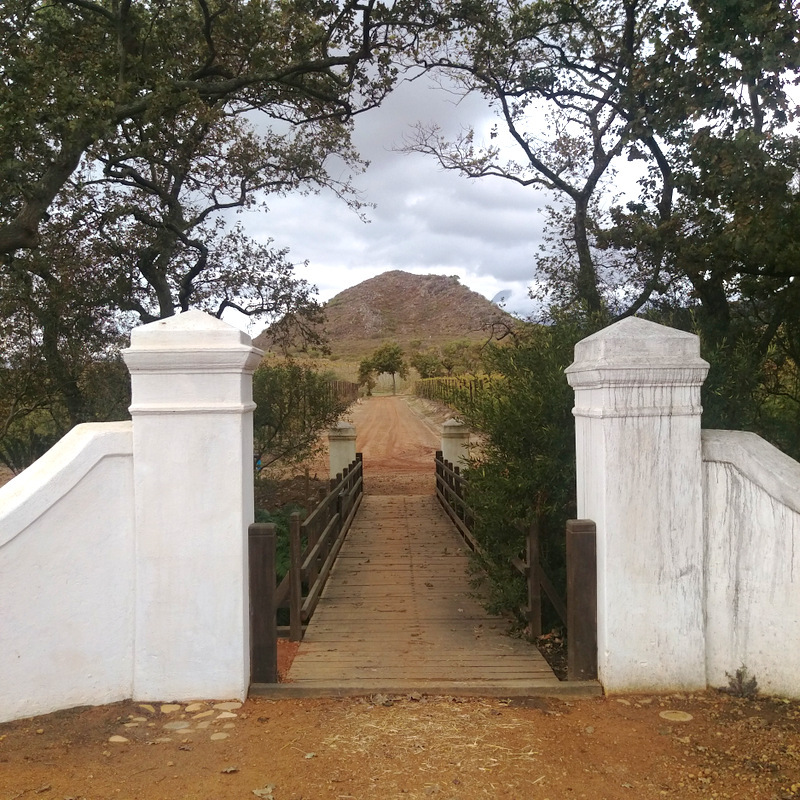 All for R185 per person. More interested in the vino? Visit their tasting room that’s open every day or order their wine online. That bubbly is just R125 a bottle and I totally regret not buying one. Our next stop? Maison Estate. This place is gorgeous and the view from their restaurant made for some serious Instagram fodder. We got to try items from their new winter bistro menu and, while it’s beautifully presented, not too much of it floated my boat as I’m not a fan of perlemoen or anything with tentacles. 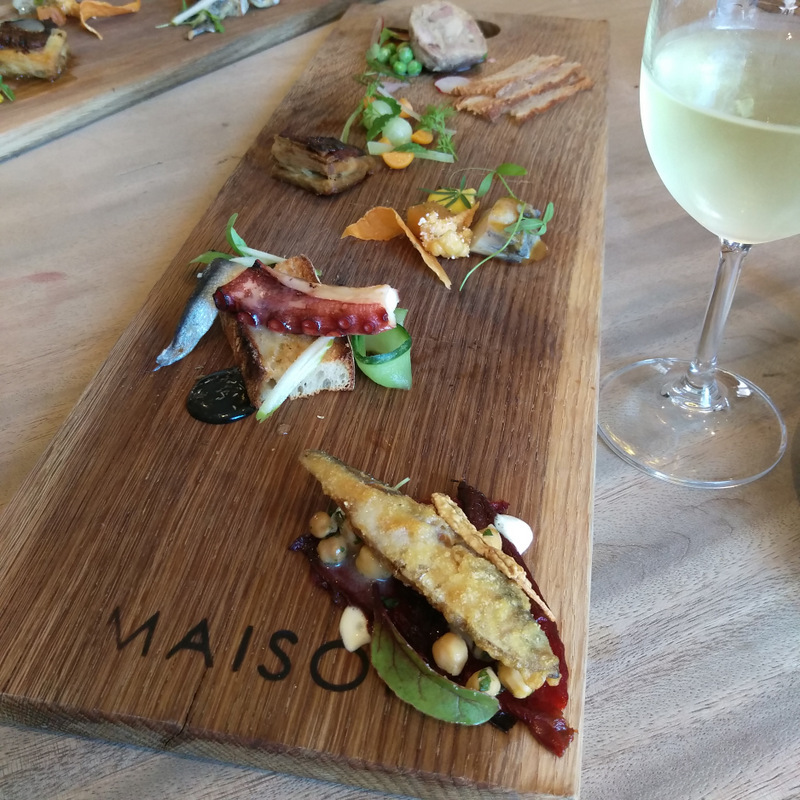 Still, I did enjoy the salty-sweet deliciousness that was tempura kapenta (a li’l fishie) with semi-dried red pepper, chickpeas, roast garlic and yoghurt (R75) and succulent miso lamb belly with gooseberries, apple, celery and mint (R85). The anchovy is the first one covering the ‘N’. What really knocked my socks off, however, was the dessert. 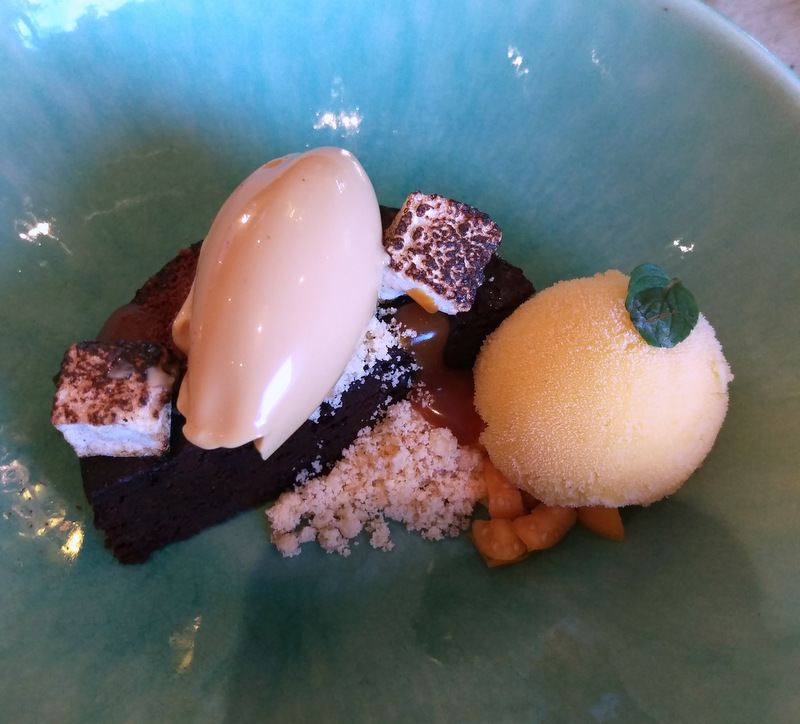 A rich, gooey chocolate slab served with creamy amarula ice cream, toasted marshmallow and gooseberry sorbet, this boy basically made my afternoon. If you visit, don’t leave without giving it a bash and don’t even try to share it. You’ll definitely want your own. The Tasting Room and Deli is open seven days a week from 10am to 5pm. 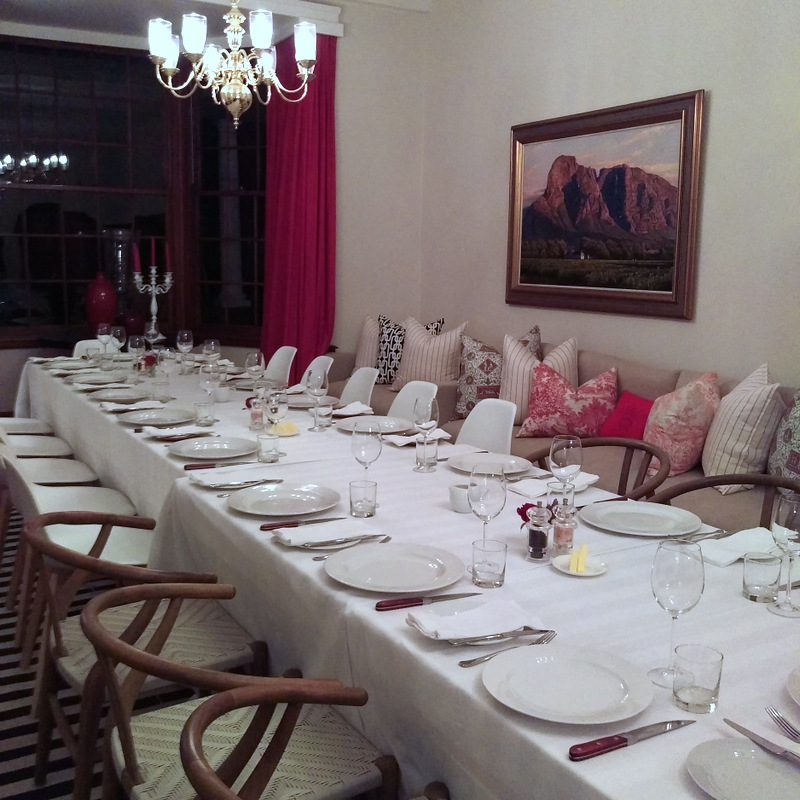 Maison’s restaurant, The Kitchen, is open for lunch Wednesday to Sunday from 12pm to 5pm. You can view the menu over here. To finish up our tour, we headed to La Cle des Montagnes for dinner. 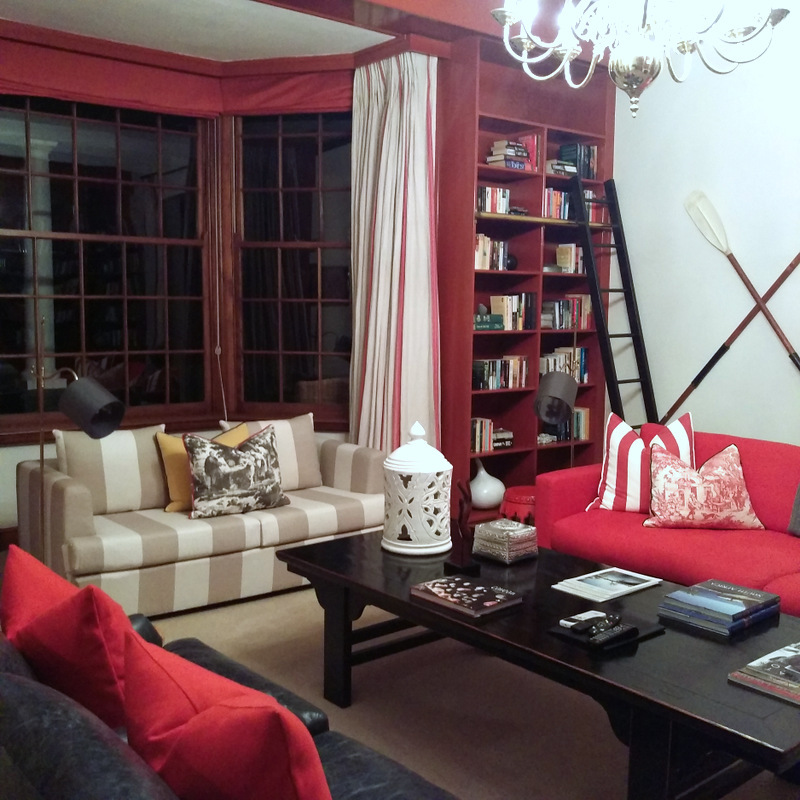 A beautifully decorated boutique guest house made up of four private villas, I reckon this ultra luxurious li’l spot will best work for Euro-carrying tourists as a stay over in one of the bedrooms in the least expensive villa (Villa La Galerie) starts at R4 050 per person per night. Still, your sleepover does include welcome drinks, a luxury turndown, a continental breakfast as well as butler and concierge service. Resisting the urge to jump on this was hard. 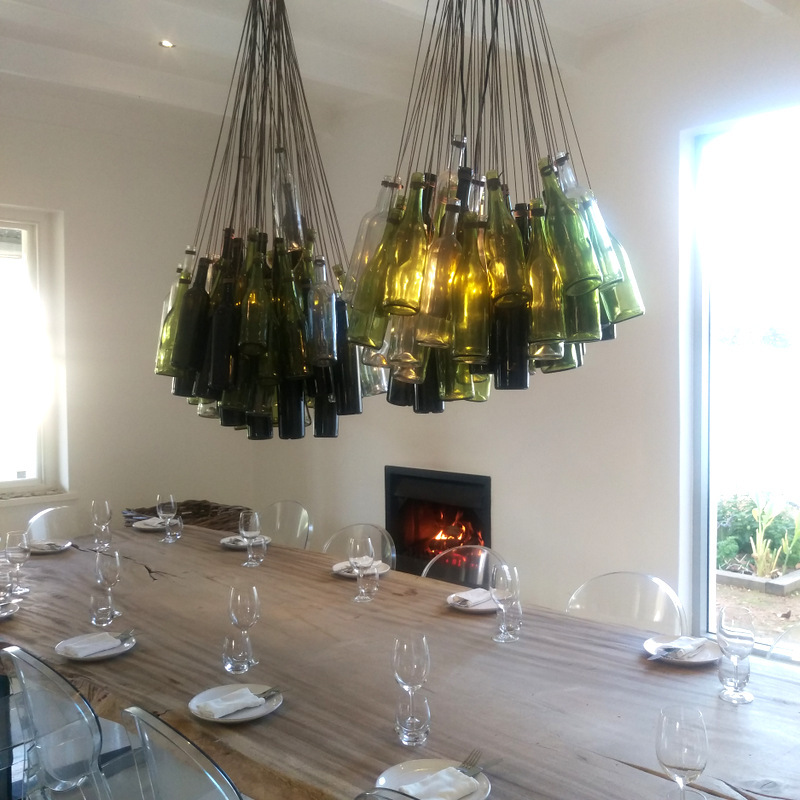 After exploring the 2-bedroom Manoir villa we all sat down to a five-star braai-style dinner that included dreamy, creamy mash, corn on the cob and the best steak and mushroom sauce I’ve enjoyed in years. Seriously! I could’ve sliced that li’l darling with a butter knife and it just melted in your mouth like butter. I’m not showing off food shots here and the pics I took don’t do the dishes any justice. The steak also totally blew Karisa’s mind (yep, she was along for the tour too) and, even though we were both pretty full, we kept on going back for more. She even concluded that she’d happily give up on living happily ever after with her fantasy husband, Adam Levine (shame, don’t judge her) if it meant getting to enjoy that steak on tap. This is how good it was. You can see I made myself at home. Our food was paired with a selection of Stony Brook wines (thanks Craig!) and again I most enjoyed the bubbly, Lyle MCC 2009. Much like Allee Bleue’s bubbles, it’s a mix of chardonnay and pinot noir and is one of South Africa’s only sparkling wines to spend more than 60 months on the lees. Notes-wise, you’re looking at hints of citrus and rich biscuit. Can we get a ‘yum!’ over here, please? If you’re loaded, book your private villa over here. You can, however, console yourself with a bottle of Stony Brook bubbles at an affordable R145 a pop. A big thank you to Tammy White and Natalie Roos for a lovely day out. 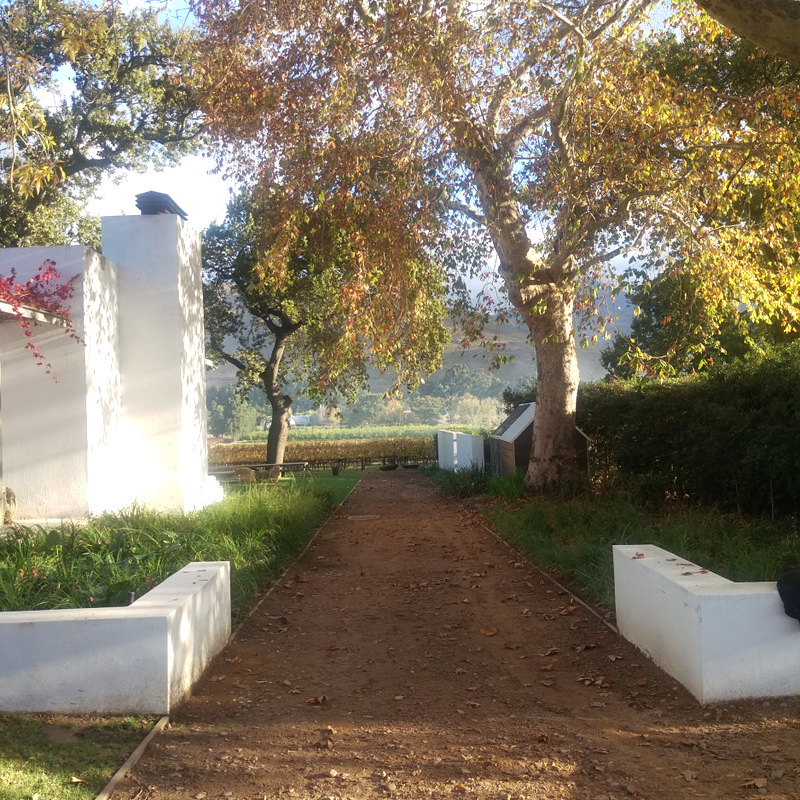 To learn more about Franschhoek as well as all the lovely winter specials currently on offer in area (there are lots of them) visit their website over here. 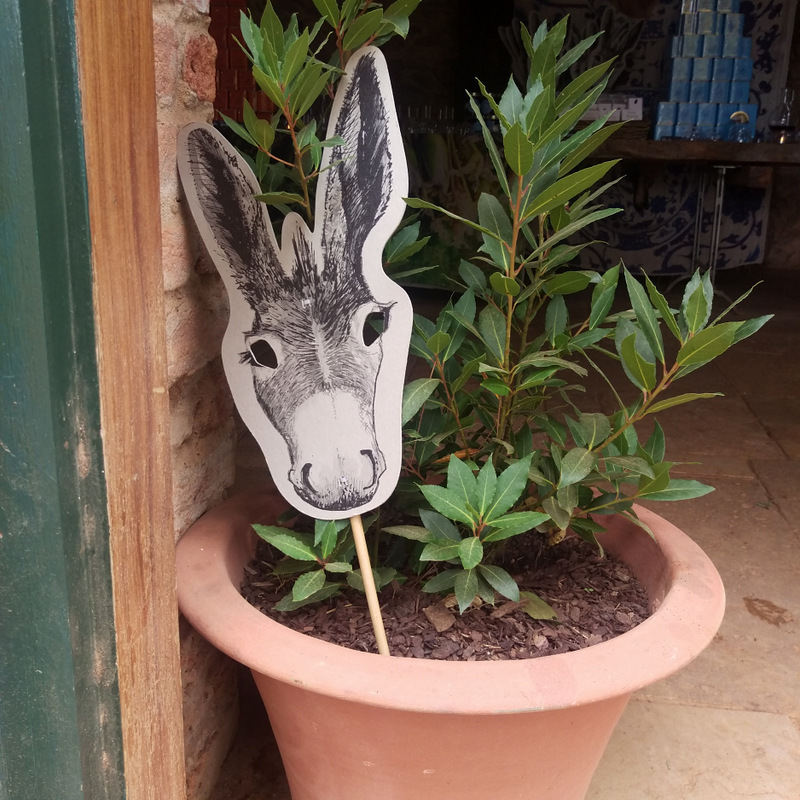 The Babylonstoren donkey waves good bye!